2.5 CHP Mach Z Motor; Tread Belt, ProShox Cushioning, SpaceSaver Design, 1.9" Precision-Machined and Balanced Non-Flex Rear Roller. Compatible Music Port for Apple iPod, Large Backlit Display, 10 mph QuickSpeed Control, 10 Percent Quick Incline Control. 18 Workout Apps, CoolAire Workout Fan, Grip Pulse EKG Heart Rate Monitor, 300 lbs Weight Capacity. Lifetime frame warranty, 25-year motor warranty, 1-year parts and labor warranty. Train in comfort for better results. 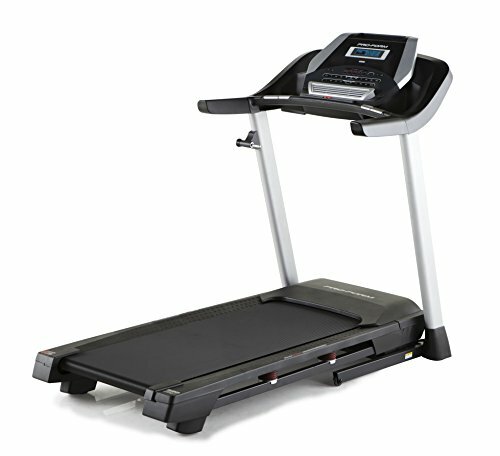 Featuring ProShox cushioning, the ProForm 520 ZN Treadmill delivers a more comfortable running surface while reducing impact on your joints with each step. Plus, with an easy-to-read display and 10 mph QuickSpeed and 10 percent Quick Incline controls, you can instantly stay on top of your workout stats and manage your workout intensity.